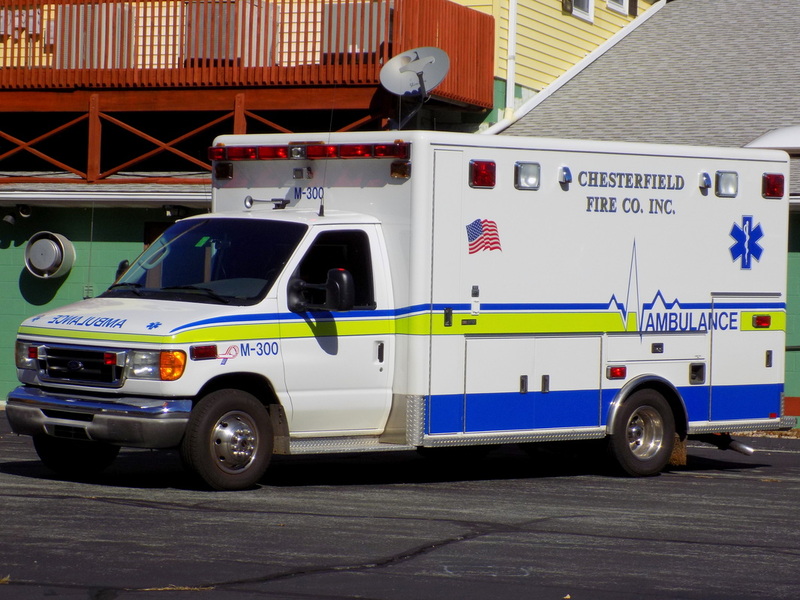 This is the page for the Chesterfield FC. 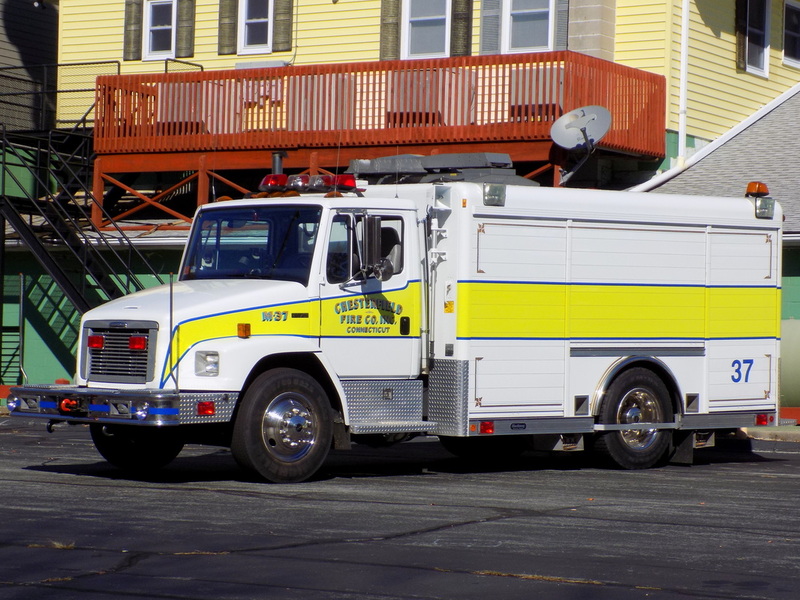 They have 2 engines, 1 rescue truck, 1 ambulance, 1 brush truck, 1 utility truck, 1 chief's car, and 1 station. 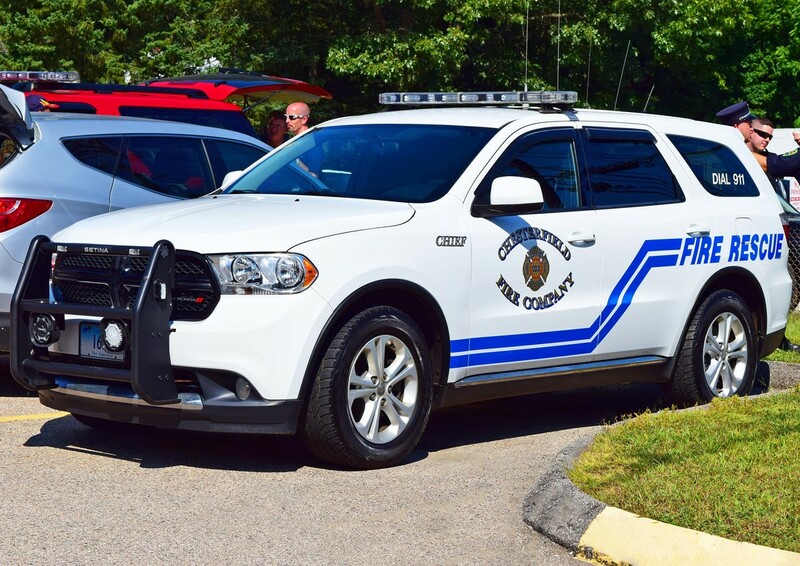 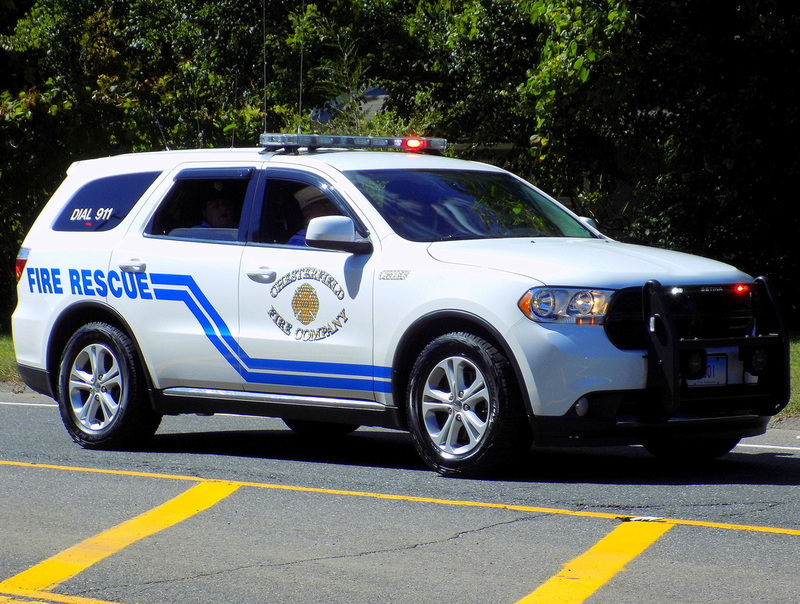 Chesterfield's Car 30, a 2013 Dodge Durango SUV. 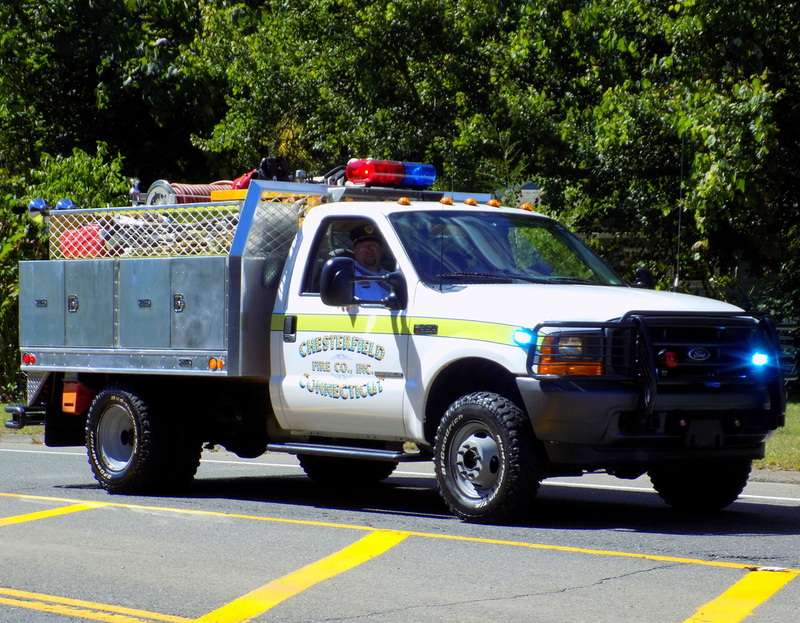 Chesterfield's Brush 33, a 2001 Ford. 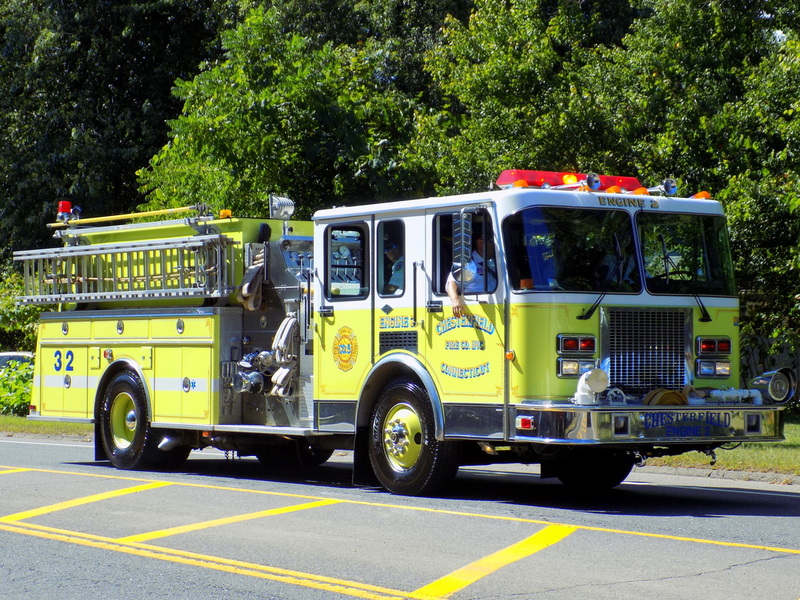 Chesterfield's Engine 31, a 2009 HME/Ferrara. 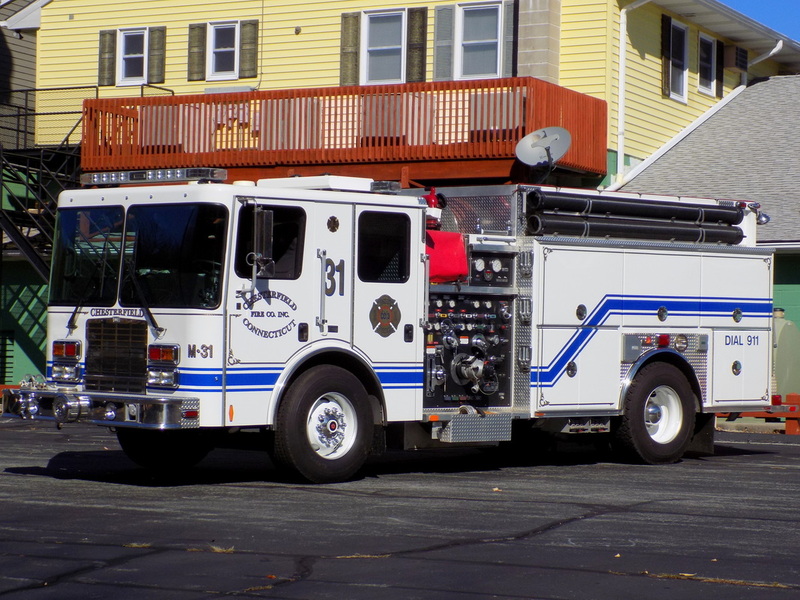 Chesterfield's Engine 32, a 1991 Spartan/KME. 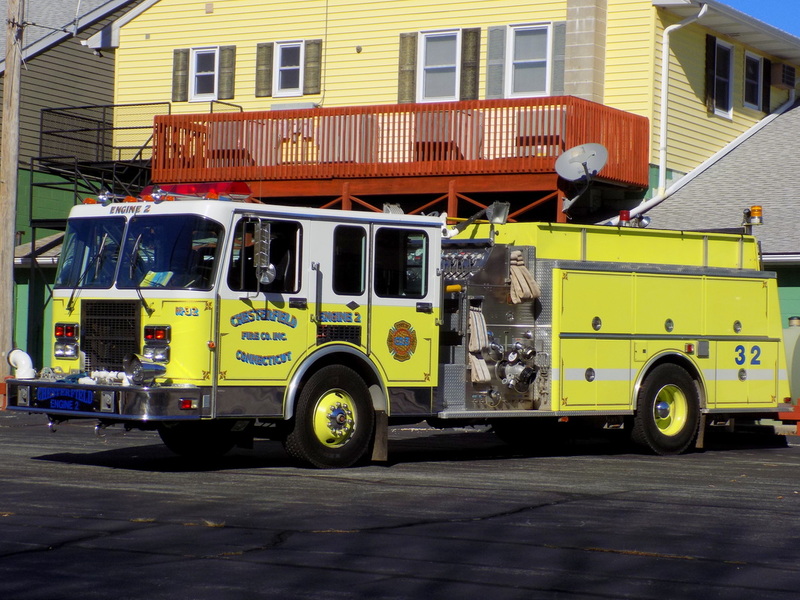 Chesterfield's Rescue 37, a 1999 Freightliner/Hackney. 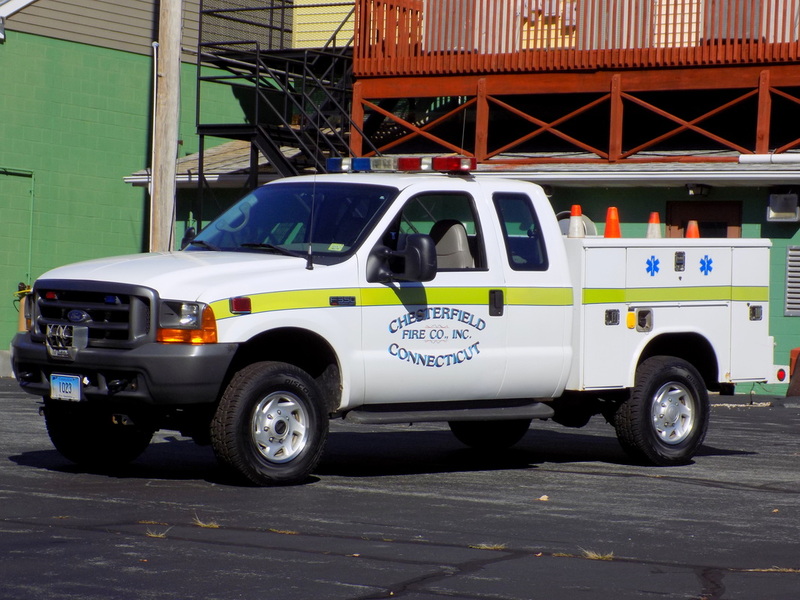 Chesterfield's Medic 300, a 2004 Ford/Horton ambulance. 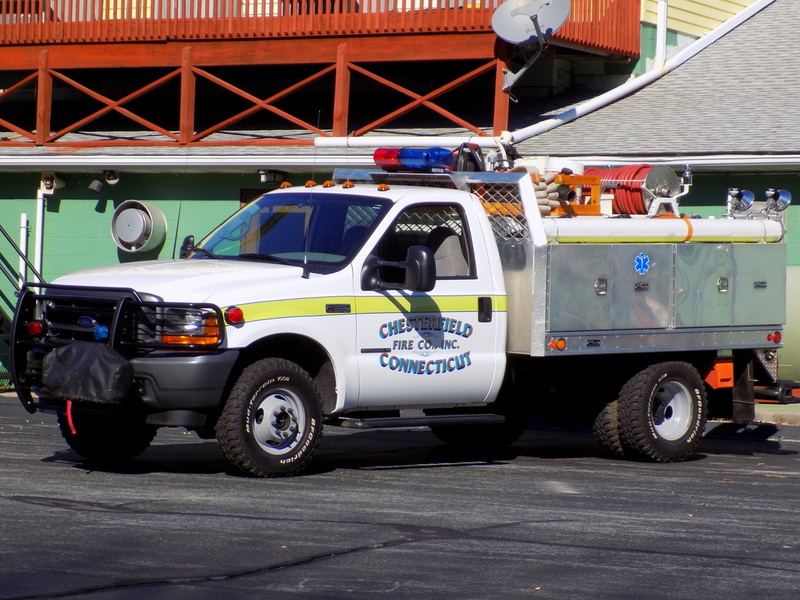 Chesterfield's Utility 36, a 2001 Ford/Reading.